Today an Angel made my day. Today I was woken up to what sounded like the voice of an Angel, speaking words that were so unbelievable I was certain I had to be living in a dream. From the moment I heard Rascal Flatts and Australia in the same sentence, my eyes had opened and my feet had already hit the ground. It couldn’t possibly be true. The words that followed had me very nearly leaping for joy, with the exception that my poor little body probably couldn’t have handled the leaping. It was like Christmas morning, only ten times more exciting. I could hardly believe what I was hearing. Surely I heard it wrong, surely I was dreaming. It took a few seconds for me to pull myself together and realise that I was in fact actually awake. I was awake, but it was not Christmas morning – it was better. As it turns out, the voice of an Angel was in fact my Brother, but the news he had just delivered had come from the heavens nonetheless. It was finally happening, my dreams were finally coming true. 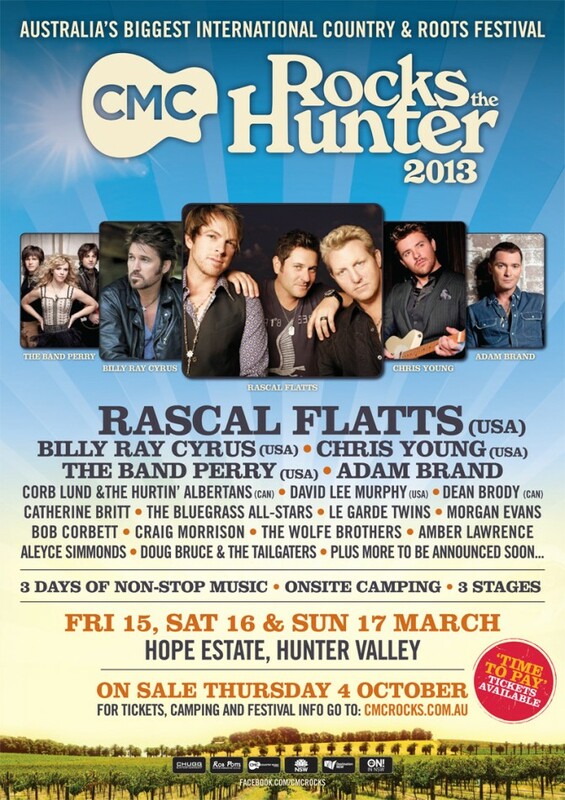 Rascal Flatts and The Band Perry would be performing at CMC Rocks the Hunter, March 2013. Needless to say, tickets were booked immediately, travel plans were put into motion and I was completely over the moon. I guess you could say that today, an Angel made my day.